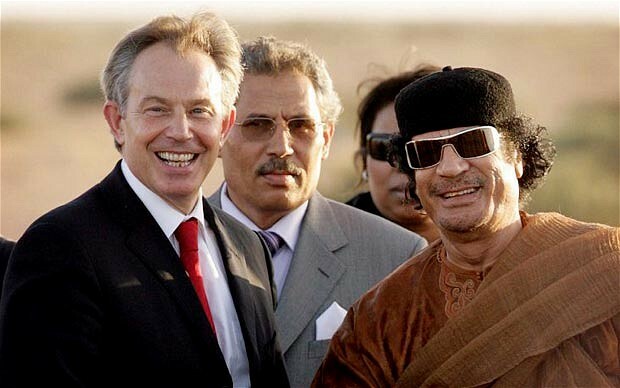 Isn’t it marvellous that all these governments are determined to do “something” about Colonel Gaddafi? For example Hillary Clinton said she supported military action once the Arab League – made up of countries such as Bahrain, Syria, Yemen and Saudi Arabia – backed the air strikes. And it is encouraging that the policy of not tolerating a dictator has the backing of so many dictators. Some people might suggest that one way King Abdullah of Saudi Arabia, for example, might reduce the number of Arab dictators, would be to stop being an Arab dictator, but that’s because they don’t understand how complicated these things can be. Others will say the West might now turn a blind eye to repression that happens in countries which have backed the bombing of Libya, but that would mean an American government has bombed somewhere without being honest about its motives, and that would be highly cynical. For example, Hillary’s comments about the need to act once the Arab League asked for help explain why no government helped Gaza when it was attacked two years ago. Because Gaza obviously forgot to ask. It’s a bit shy, I suppose, and didn’t want to be any trouble. The main argument for the bombing seems to be that we have to do something. This suggests that up until now we’ve been doing nothing, which is true if you don’t count drawing the boundaries of Arab countries in the first place, installing an assortment of Kings and helping them to fire on anyone who objected, backing every Israeli invasion, arming the Shah, arming and financing a list of dictators as long as they sent us their oil, invading Iraq and then making Tony Blair the Middle-East poxy sodding peace envoy, to give his job its full title. This may explain why most Arabs are reluctant to welcome Western backing, and why they might reply to a question from Britain and America that went “Can we just do nothing?” by answering, “Why don’t you give it a go? For about a hundred years. Then we’ll see how we’re getting on and get back to you”. So while the people of Benghazi must have been relieved that the UN has forced Gaddafi back, it must be in the same way that if you were being attacked by robbers you’d be relieved to see the Mafia turn up and fire on them. Then afterwards you’d have a new problem, that you owed them something. And that might be the aim of the governments involved in the bombing. Because none of them have ever seemed bothered whether the regimes in the Middle East are democratic, or brutal, as long as they’re happy to trade their oil on favourable terms. They want to make sure that whatever emerges from these rebellions, there are rulers who will carry on with that arrangement.